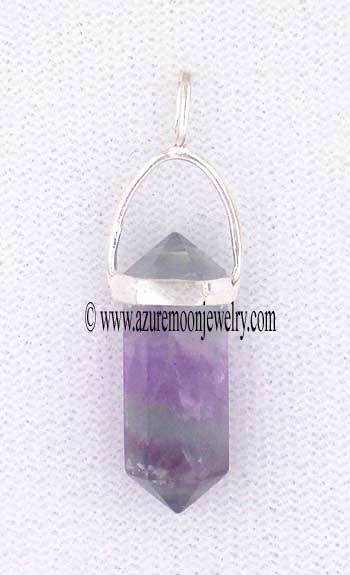 This lovely, one of a kind, polished double terminated Rainbow Fluorite point mini-pendant was handcrafted in Brazil and is set in a fine .925 Sterling Silver mounting. This is natural Rainbow Fluorite and it has some natural inclusions that occurred during the crystal's growth process which add interesting and unique characteristics to the gemstone. 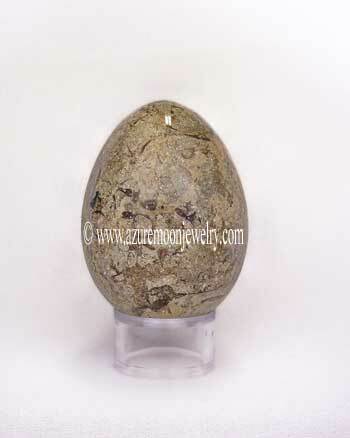 Said inclusions are not considered a defect, but rather a characteristic of the natural beauty and wonder of the earth's geology. The picture does not do this Rainbow Fluorite point pendant justice due to the light defusing dome we use to photograph our jewelry. Rainbow Fluorite is often difficult to photgraph and as such, this Rainbow Fluorite point is slightly lighter in color and much more transparent than it appears in the photograph. Pendant measures 1 3/8" L - 7/16" W - 5/16" D.
Fluorite is the official state gemstone and official state mineral of Illinois. Metaphysical Properties: Fluorite and Rainbow Fluorite are said to bring order to chaos. It provides a stabilizing energy, helping relationships, groups and individuals to flourish in a way that is beneficial to all. It�s a perfect gift for someone who is ill, as it helps to nourish the energies of the body and provides purification, cleansing and elimination of that which is in disorder. Click here to learn more about the lore and metaphysical properties of Fluorite and other popular gemstones.